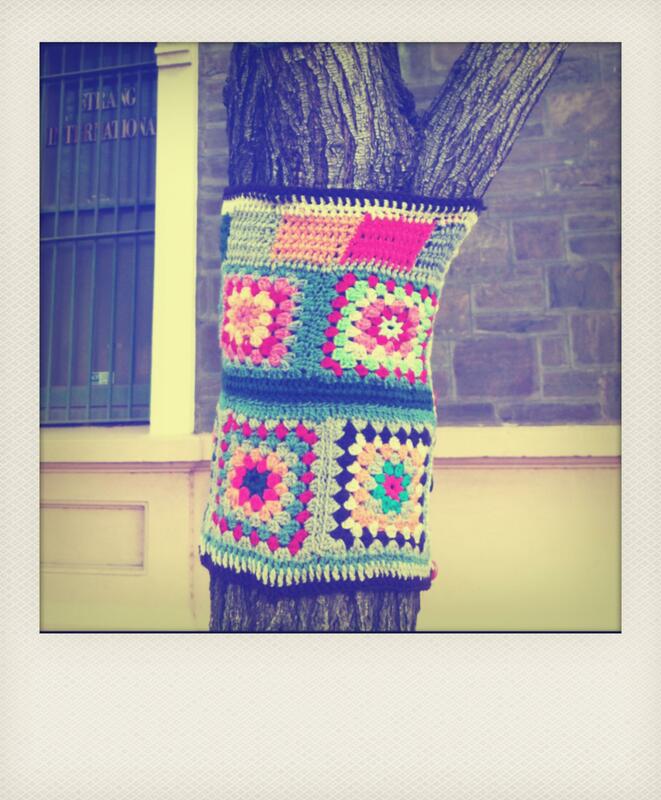 This entry was posted in Uncategorized and tagged photography, picture, polaroid, street art, yarn bombed, yarn bombing on September 30, 2012 by yarnbomb. 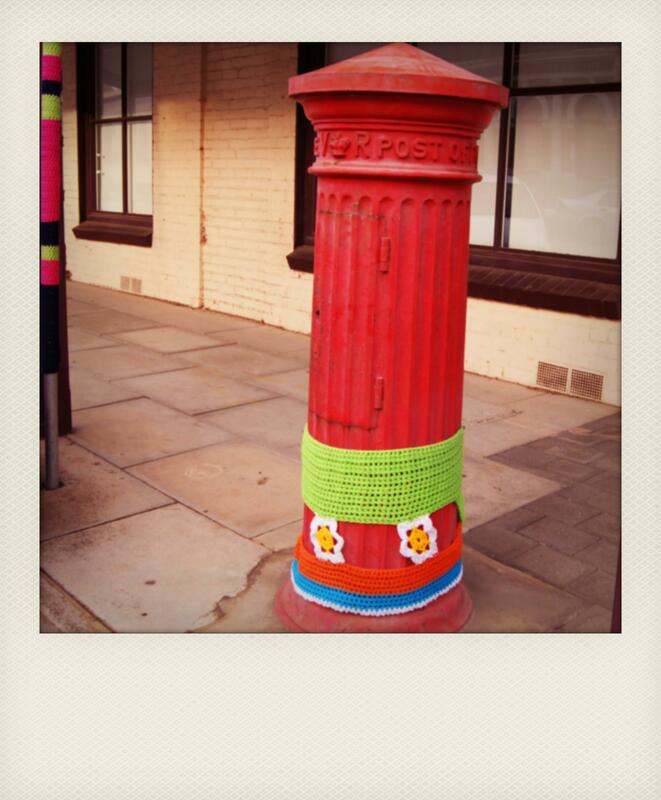 THIS OLD FASHIONED POST BOX IN PORT ADELAIDE HAS BEEN YARN BOMBED WITH CROCHET. 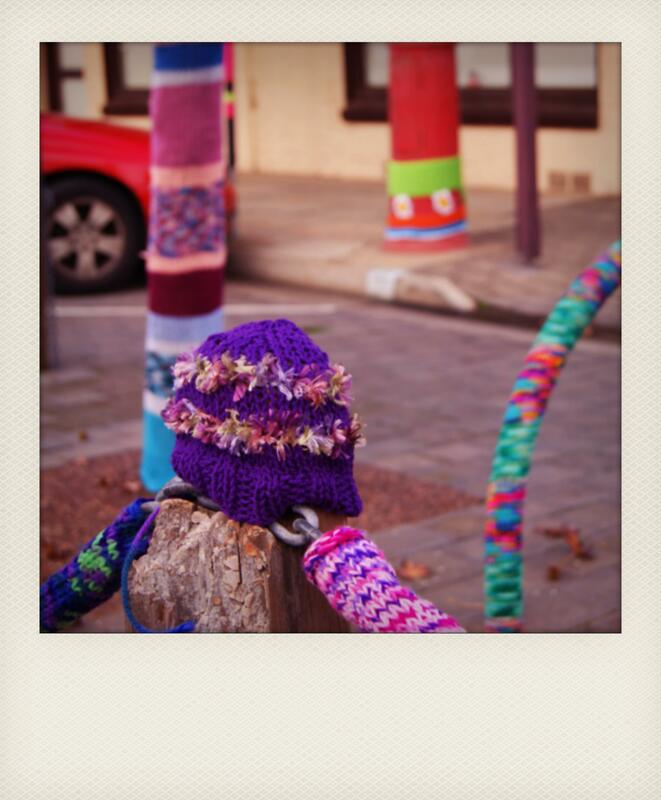 THE PICTURE REMINDED ME OF THE POST BOX IN THE PICTURE BELOW. 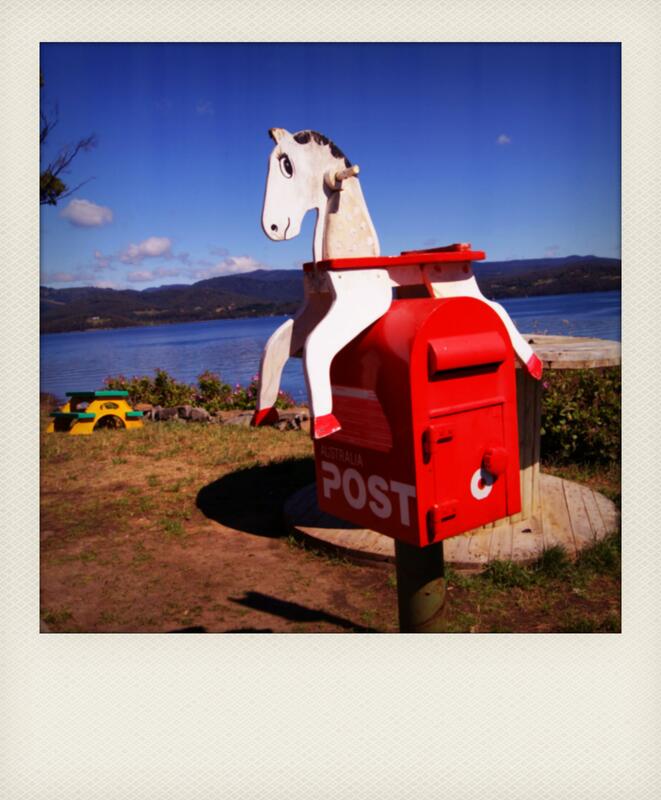 THIS HORSE ADORNED POST BOX IS AT THE FERRY TERMINAL ON BRUNY ISLAND IN TASMANIA. 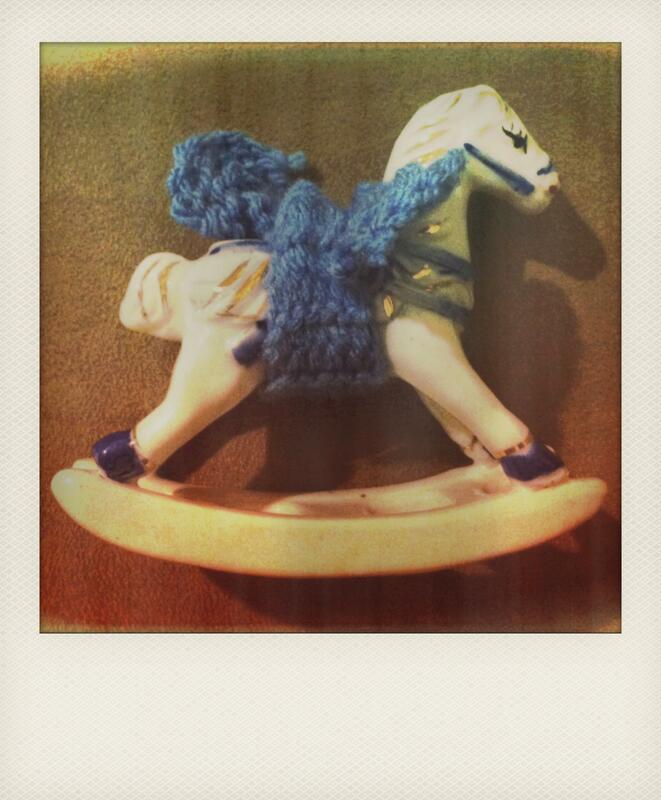 THIS CERAMIC HORSE HAS KNITTED WINGS. 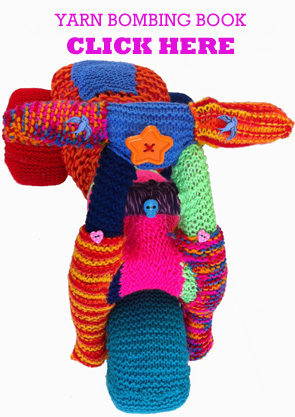 THIS YARN BOMBED ROCKING HORSE IS COVERED IN KNITTING & HAS A WOOLEN YARN TAIL. 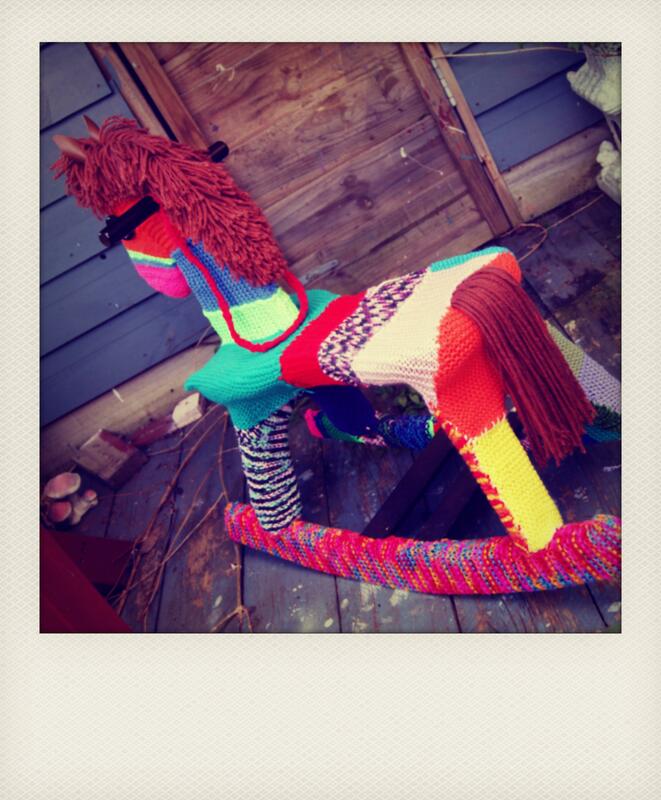 This entry was posted in Uncategorized and tagged crochet, knitting, polaroid, rocking horse, yarn bombing on September 22, 2012 by yarnbomb. 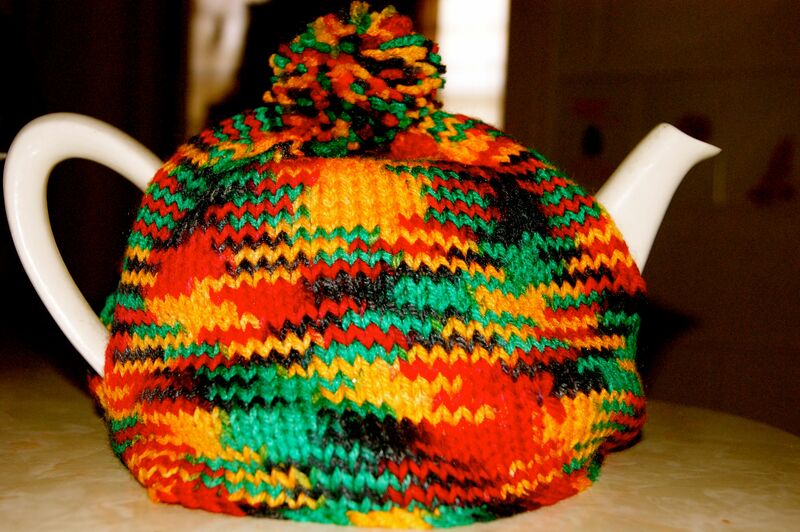 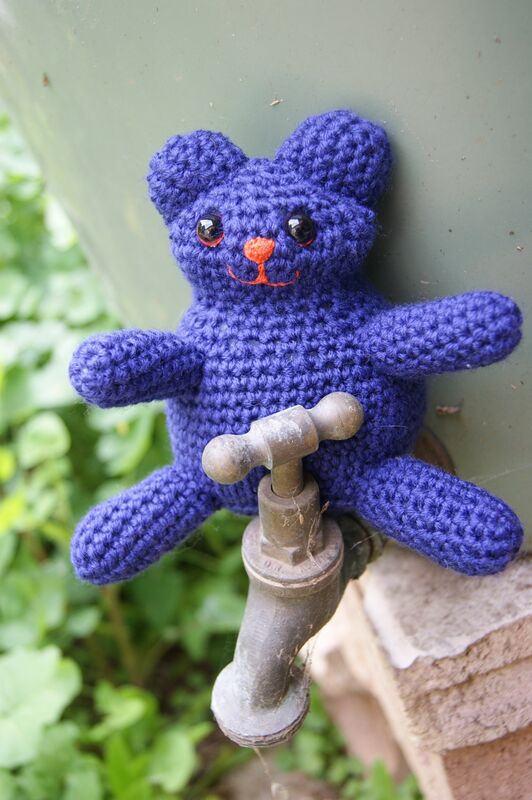 I LIKE TO THINK OF THE HUMBLE TEA COSIE AS A PR-CURSOR TO THE MODERN DAY YARN BOMB MOVEMENT, ALTHOUGH THE BIRTH OF YARN BOMBING IS SAID TO HAVE STARTED WITH A CROCHET DOORKNOB COVER. CAN YOU SPOT ANY SIMILARITIES IN THIS TEA COSIE & THIS YARN BOMBED BIKE? 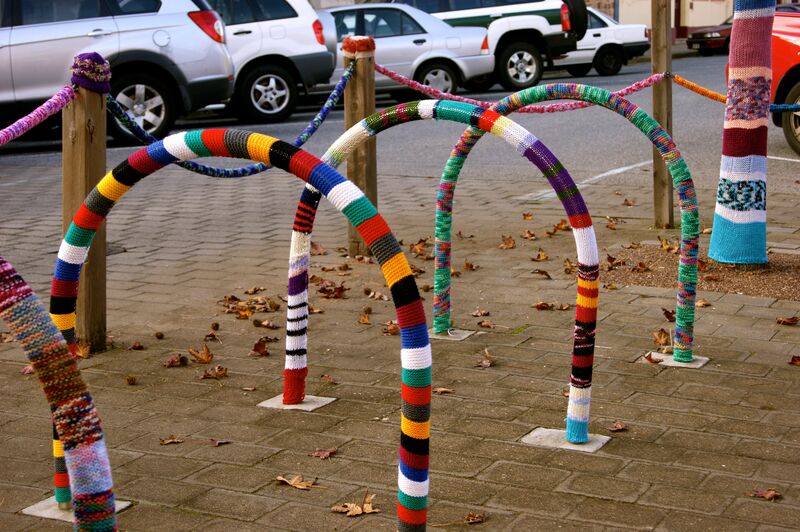 OF COURSE EVERY YARN BOMBED BIKE DESERVES A COSY YARN BOMBED BIKE RACK. 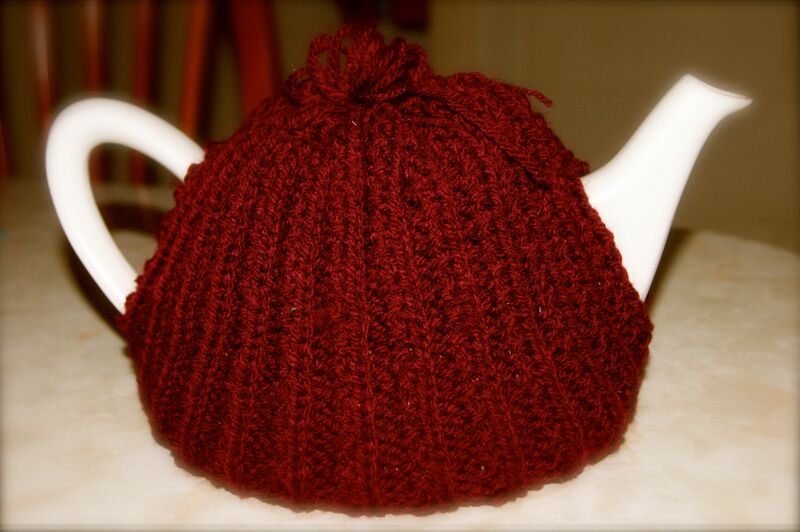 SO IF YOU ENJOY CROCHET OR KNITTING IT’S TIME TO GET YOUR GRANNY ON. 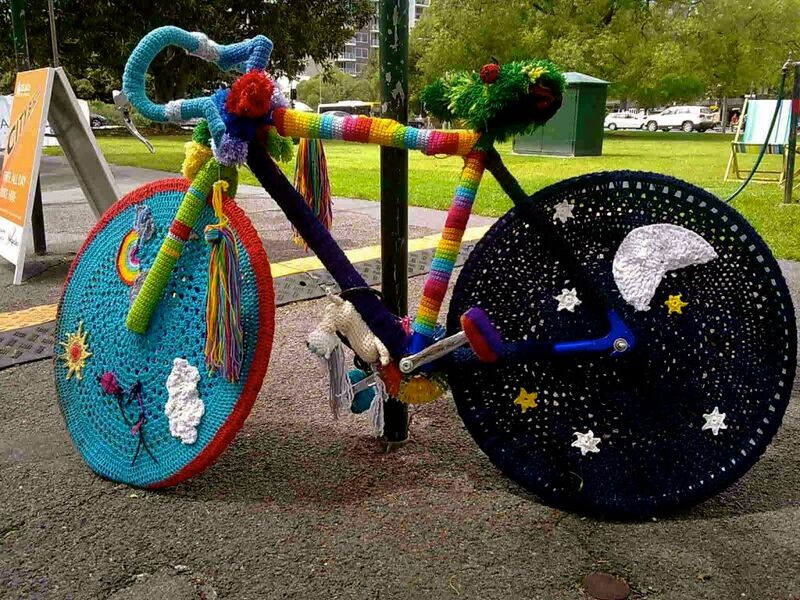 This entry was posted in Uncategorized and tagged crochet, knitting, photography, tea cosie, yarn bomb, yarn bomb bike, yarn bombing on September 19, 2012 by yarnbomb. 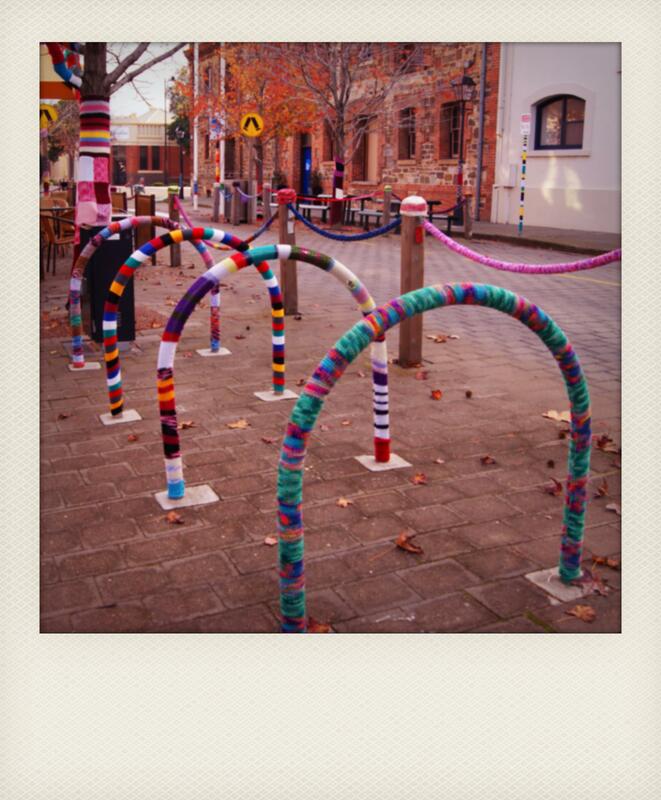 Knit bomb poles. 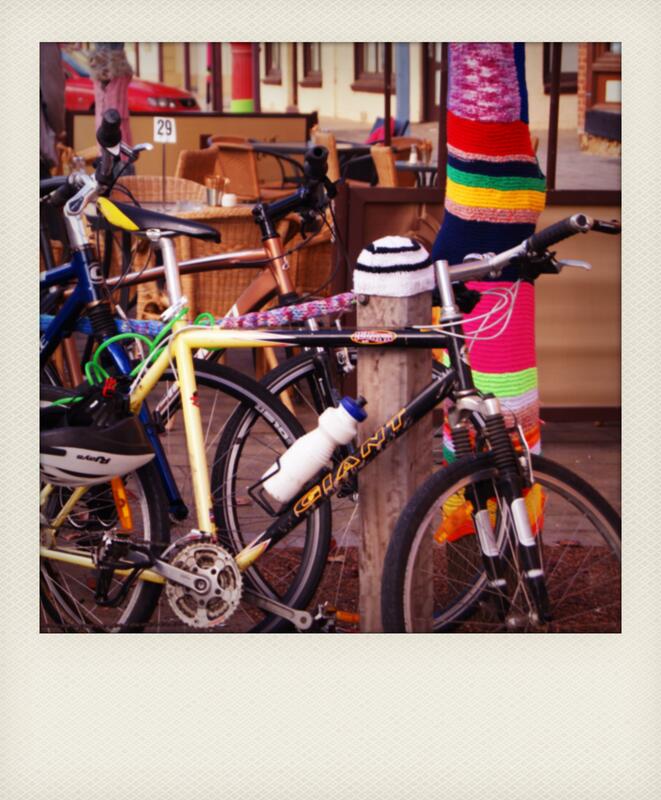 These poles made it through a rainy winter & they are still vibrant. 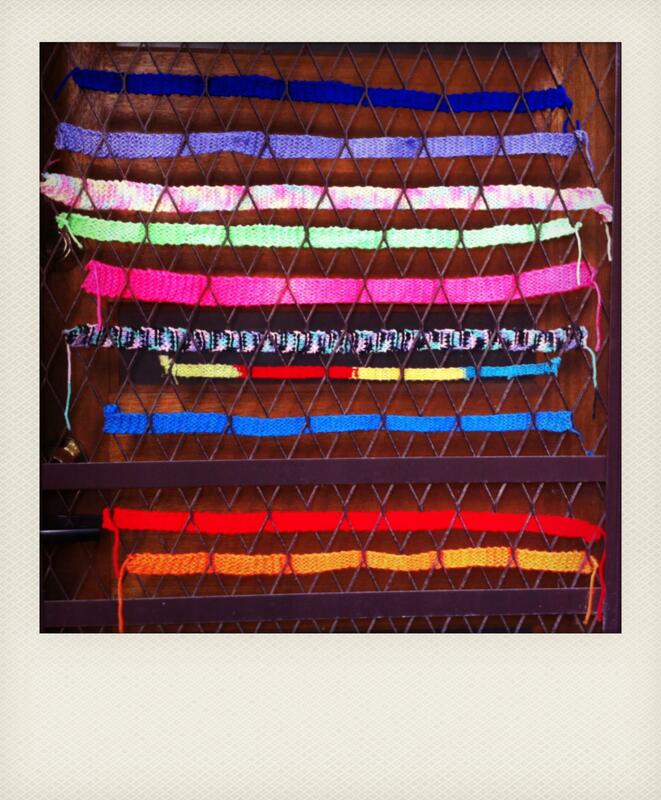 Shabby yarn bomb screen door. 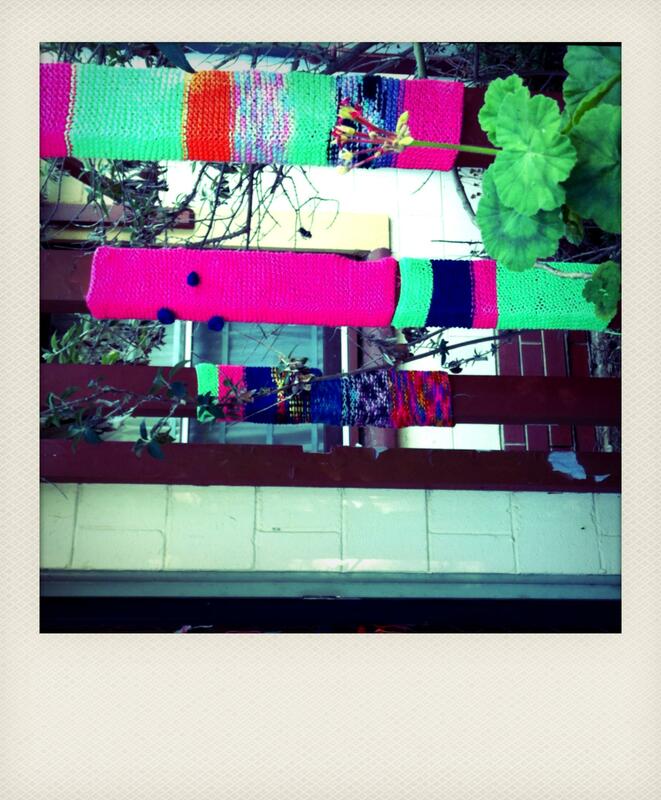 The knitted strips add colour & extra privacy. 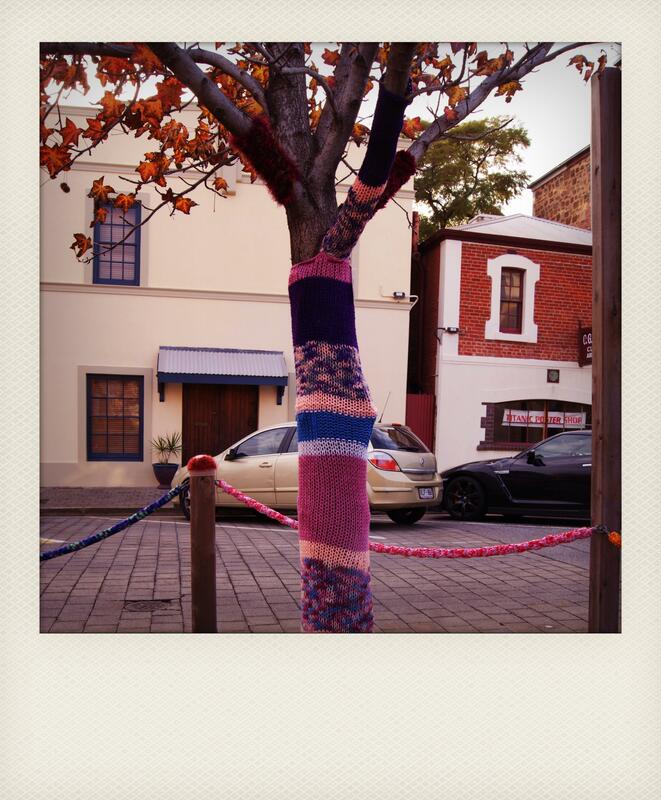 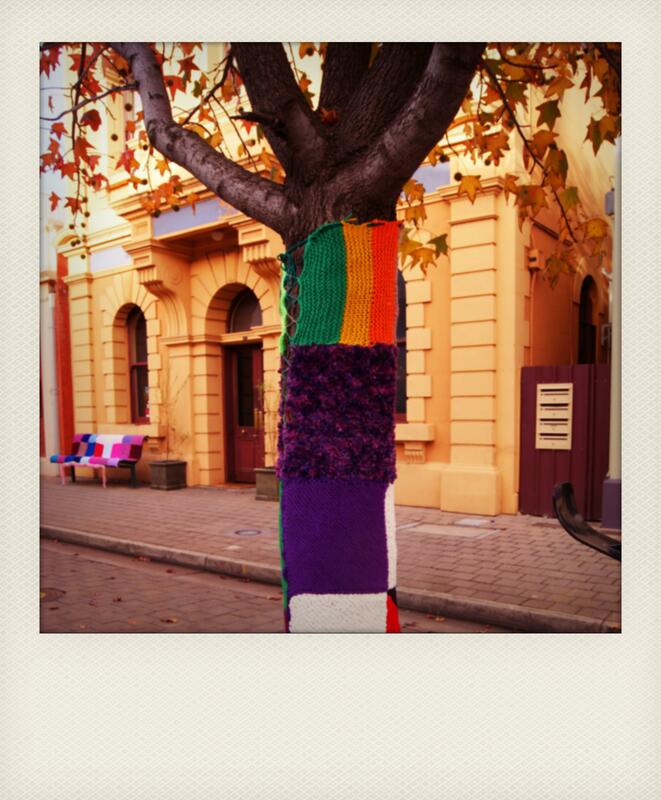 Yarn bomb tree. 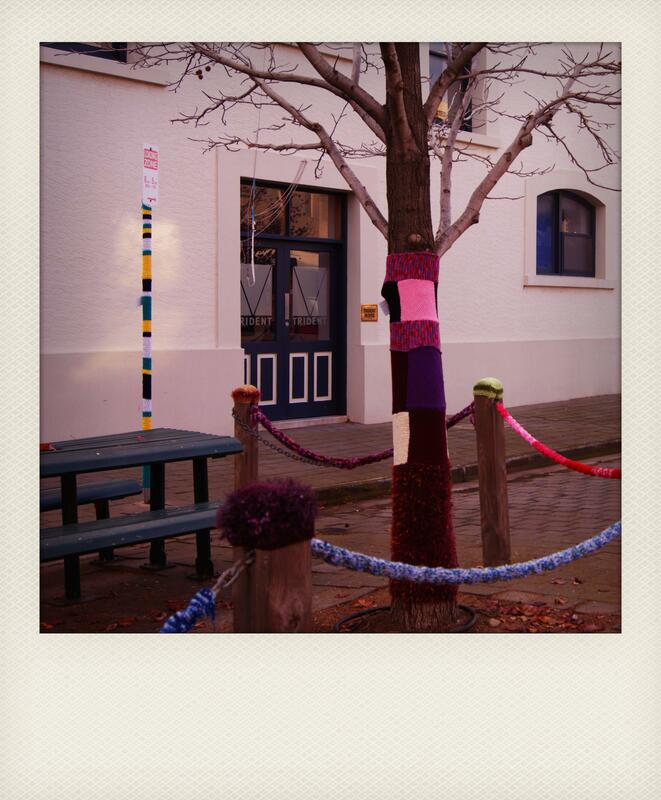 This crochet tree made it safely through winter & soon it will be in spring bloom. 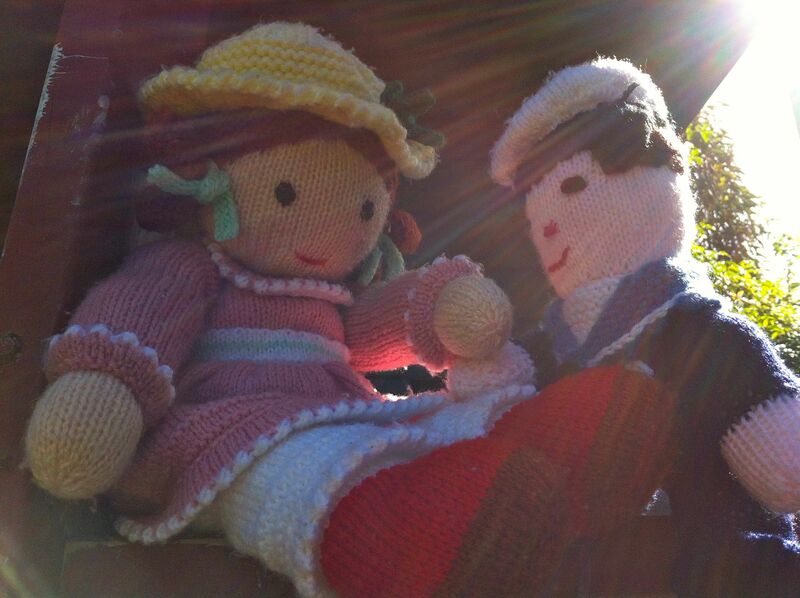 This lovely crochet doll was a rescue knit from my local thrift store. 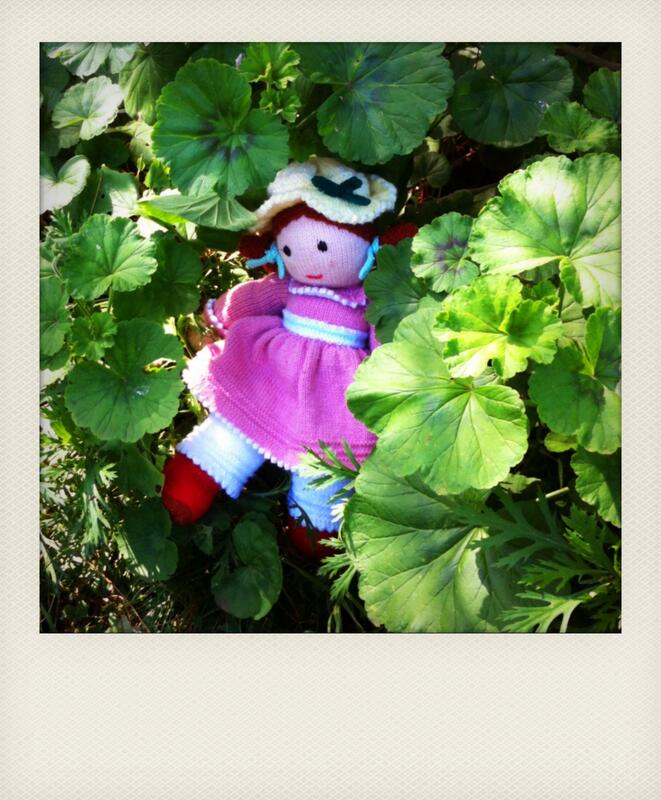 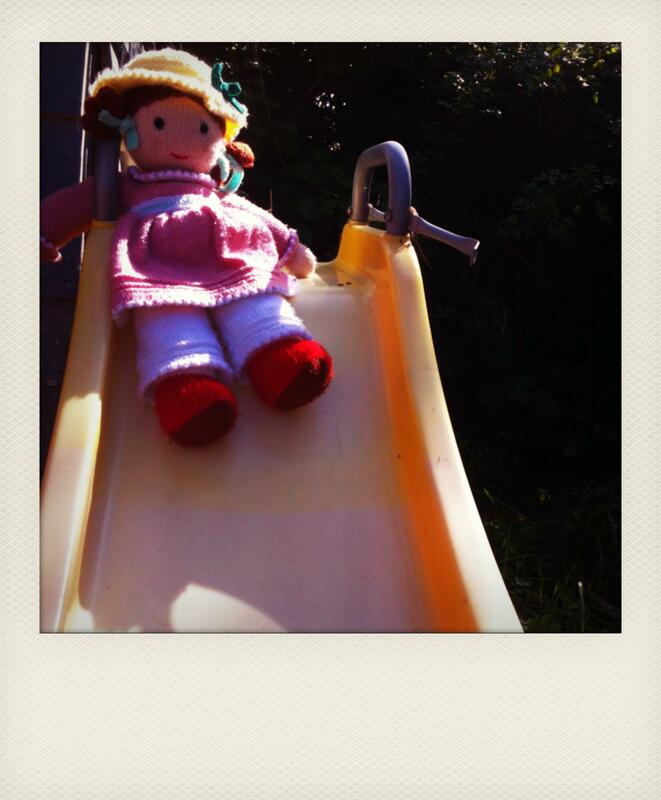 This entry was posted in Uncategorized and tagged crochet, doll, knitting, photography, polaroid, yarn, yarn bomb on September 14, 2012 by yarnbomb. This entry was posted in Uncategorized and tagged crochet, toys on September 9, 2012 by yarnbomb. 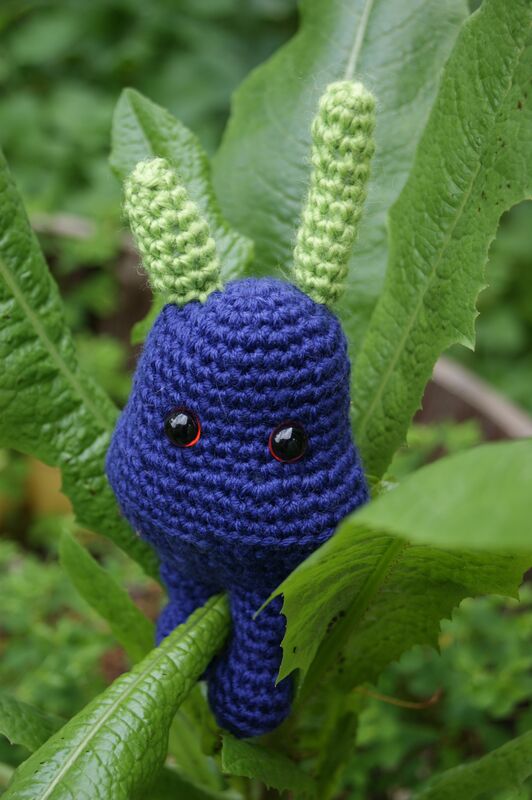 I’M A BIT OBSESSED WITH THESE LITTLE CROCHET MONSTERS. 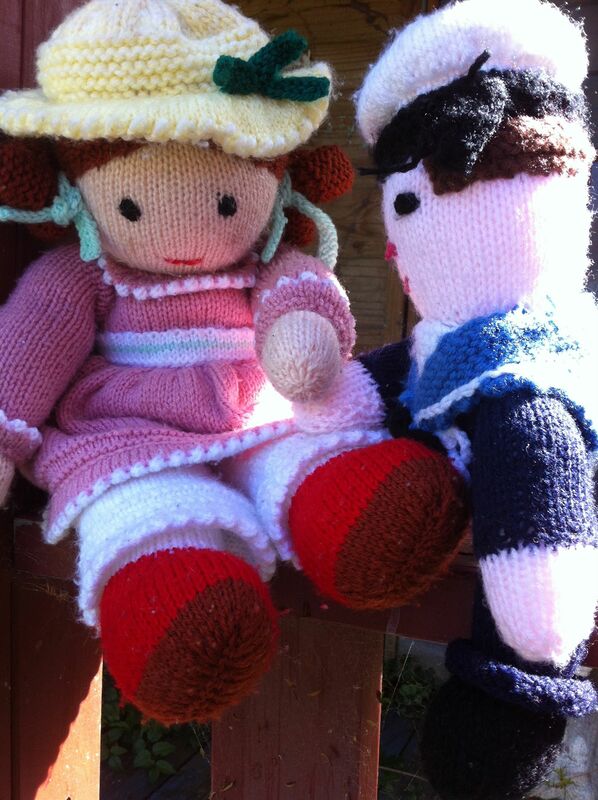 THESE LITTLE CROCHET BEASTS WERE MADE BY MY GOOD FRIEND BRANWEN DAVIES. 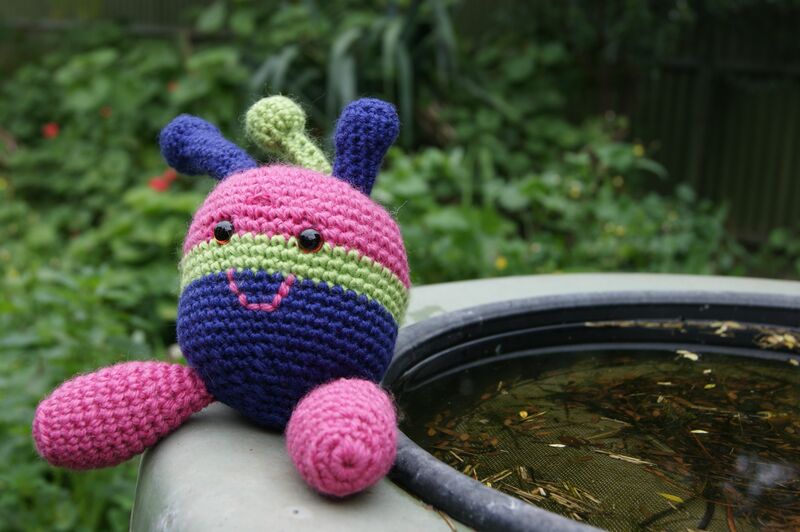 LITTLE MONSTER BY THE POOL. 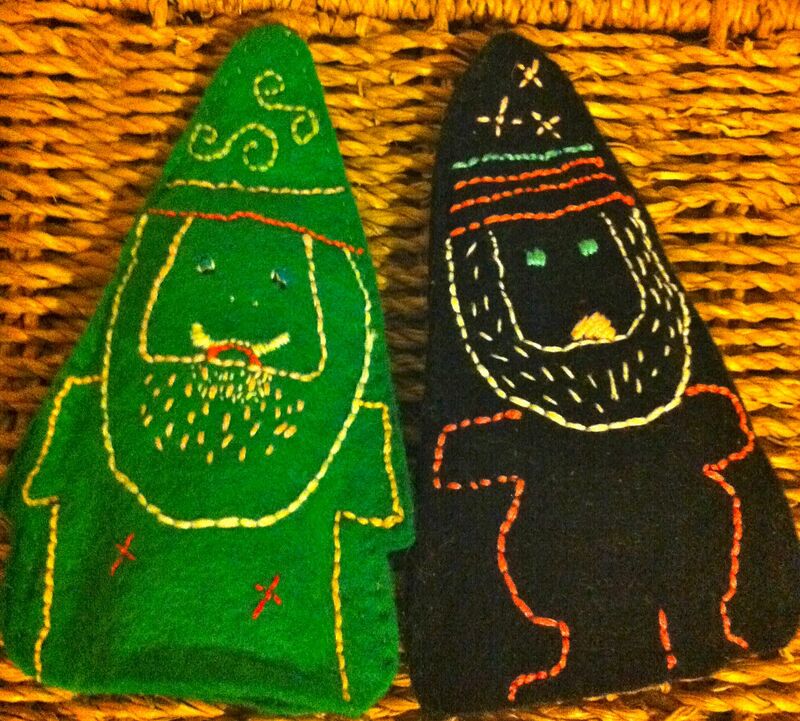 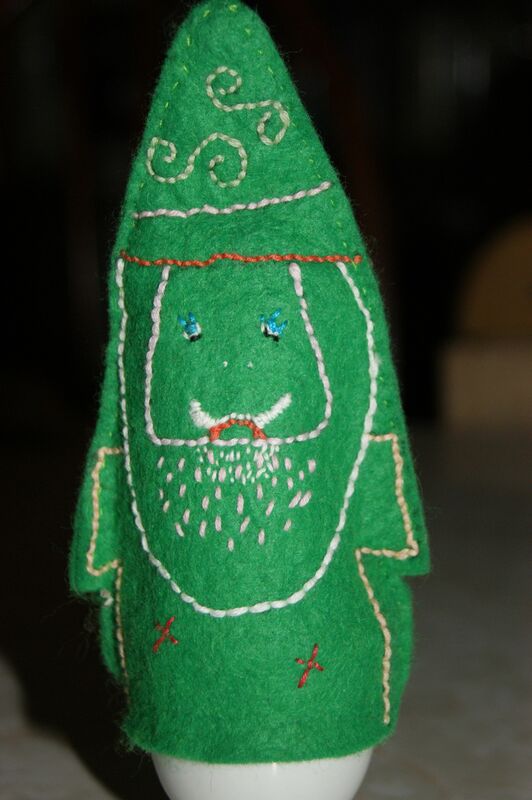 BELOW IS MY GARDEN GNOME INSPIRED EGG COSIE MADE BY ME. 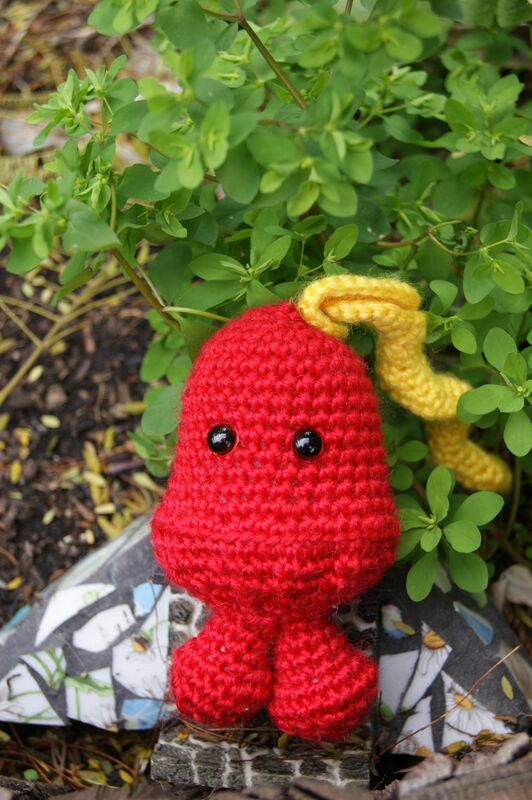 This entry was posted in Uncategorized and tagged crochet, egg cosie, gnome, photography, toys on September 8, 2012 by yarnbomb.